Whether you’re thinking about a career change or have been out of work for awhile, you can benefit from taking a step back to organize your job search better. When you take the time to do so, it becomes so much easier to make progress, even on days when you’re feeling stuck. And, with all the forward momentum you create, can actually get hired instead of endlessly filling out application after application. Today, more than ever, it’s essential to organize your job search. That’s because the manner in which we actively look for work has changed — a lot. Even a decade ago, it wasn’t uncommon to simply open up your local paper’s classified section and start circling job ads that looked promising. From there, you’d fax over some resumes or drop by in person to hand a paper copy directly to the hiring manager. And, after a little bit, you might get a call back for an in-person interview before an invitation to start work. That’s it. The vast majority of the job search process was done in person. Now, we primarily look for work online. In fact, a whopping 79% of U.S. adults turned to the Internet during their latest job search. 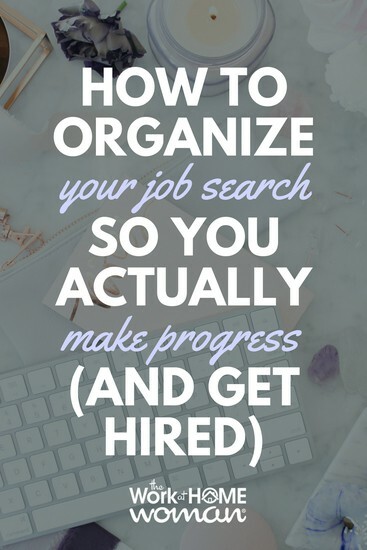 But, making the most of a digital job search requires a little bit of understanding and a good bit of organization to make progress (and eventually get hired!). 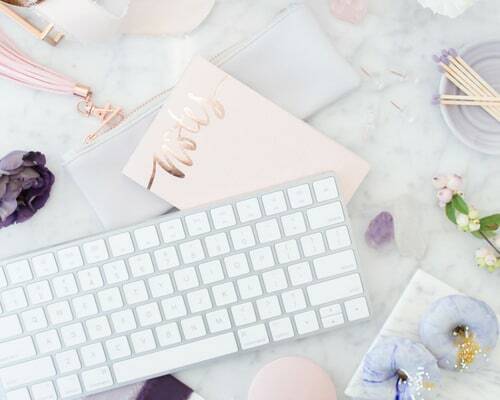 Fortunately, there are steps you can take to make the most of your online job search, even if you’re feeling overwhelmed and don’t know where to start. Companies today have simplified the hiring process by using an Applicant Tracking System (ATS). The ATS is a program that organizes job applicants and makes it easier for companies to manage the lengthy and costly hiring process. Because ATS is so widespread among companies, small to large, it’s a good idea to prepare your resume in advance so it successfully passes through the ATS and gets seen by human eyes. A great place to start is by having a master copy of your resume saved on your computer. You should have a Word copy saved (.doc or .docx) as well as a PDF version. That’s because ATS best ‘reads’ resumes in these formats. It’s also wise to strip your resume of any fancy formatting since ATS may ‘misread’ resumes that are formatted with borders, boxes, and other unnecessary objects. Instead, stick to basic bullet points, easy-to-scan headlines, and subheadings. With a basic resume ready to go ahead of time, you’ll find it much easier to apply to a job listing when you see one that’s interesting instead of searching your computer for the correct file. Pro Tip: Be sure to customize every resume you submit! Use keywords from the job ad itself to tailor your resume before you submit it. This gives your resume a better chance of passing through the ATS and actually landing on a recruiter’s desk! It’s easy to get lost in an online job search. After all, you can discover thousands of job leads at your fingertips every single day. It can quickly become cluttered if you don’t keep track of which jobs you’re applying to on a daily basis. A simple job search log can keep you from second guessing whether or not you already applied to a listing and helps you follow up adequately on the ones for which you have applied. To stay organized and on track, use a platform like JibberJobber or a simple spreadsheet in Microsoft Excel or Google Sheets. Keep a running list of each job you’ve applied to, including the company name, contact person, date applied, and any special notes you want to remember. There are even free job search templates you can find online. Once you have a job search sheet set up, you can keep a super organized list of all the jobs for which you've applied. You can also track the status of each application like whether you’ve received a response, need to follow up, or have an interview scheduled. Tracking and logging jobs, allows you to organize your job search activities, so you can focus more on finding new leads and less time wondering which jobs you’ve applied to or which ones require a follow-up. It also allows you to cross-reference unsolicited emails from so-called “potential employers” that are promoting scams and fraudulent opportunities. It can get distracting navigating online job boards on a daily basis. You may waste time reading and re-reading the same posts or feel so overwhelmed with the many options that you never actually apply to a single listing. Cut through the clutter of online job boards by creating custom job alerts! Some of the largest job search sites, like Indeed and Zip Recruiter, have free job alerts users can create and tailor to their specifications. Or you can use a premium job board like FlexJobs, to automate your search. Just set up a resume profile and their automated system will match you to new jobs of interest. When you set a job alert, you can be notified daily whenever a new job is posted that matches your established criteria. So whether you’re looking for a remote-friendly job you can do from anywhere or a local job in your area, these job alerts will show up in your inbox. You won’t get overwhelmed with the thousands of job posts that aren’t right for you and can more easily manage your job search. They say looking for a job is a full-time job. And, if you don’t take steps to streamline your online job search, it can feel even more labor intensive. Instead, choose to simplify your job search from the start by getting (and staying) organized. Doing so, allows you to make more progress, saves you time and energy, and can even help boost your chances of getting hired!